What is the concept behind cooking with a wok versus just a plain old pan on the burner? That’s a fair question. Frying, or cooking food in hot fats or oils, has been a popular cooking technique with numerous cultures since ancient times, most of which do not use a wok. 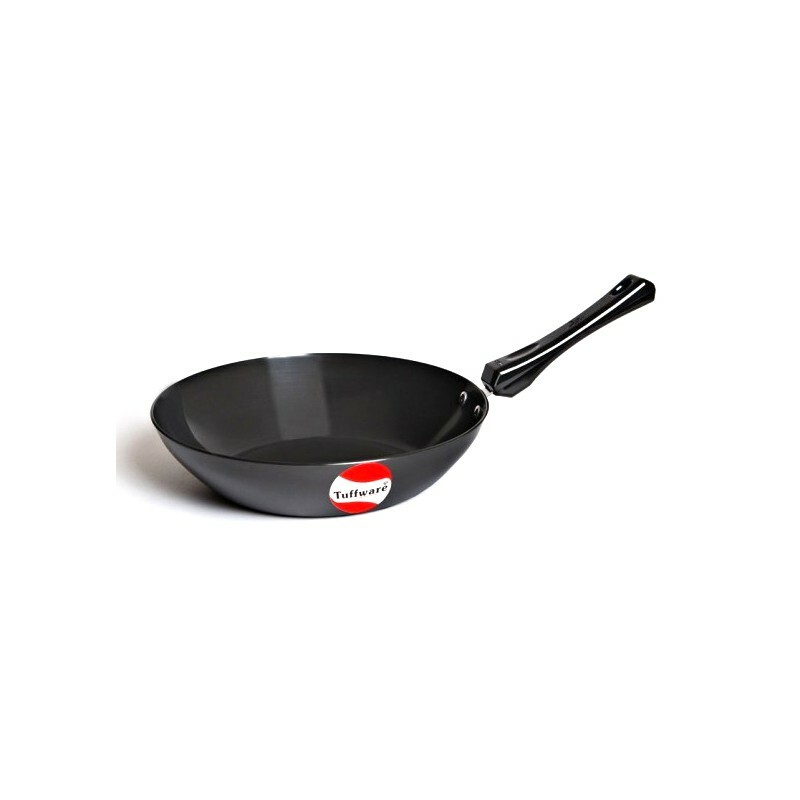 Nonetheless, the wok has always been the utensil of choice for stir-frying, a cooking technique that was developed to deal with the shortages of both oil and ingredients. The wok’s unique shape ensures that heat is distributed evenly, allowing for faster cooking times. And the wok’s deep, sloping sides make spills less likely. An anodized wok can be used for a range of different Chinese cooking techniques. This Chinese frying pan is the right tool for the kind of job that requires frying, steaming, poaching, and deep frying. Frying or cooking food in a Chinese frying pan has always been a popular cooking technique. Although it has been used since ancient times, it still does not require any design improvements since it has millions of satisfied users. This shows that the Chinese fry pan or wok has always been the most preferred utensil for stir-frying. This cooking technique was developed to deal with the unavailability of both oil and spices. This pan also works as an all-purpose pan. 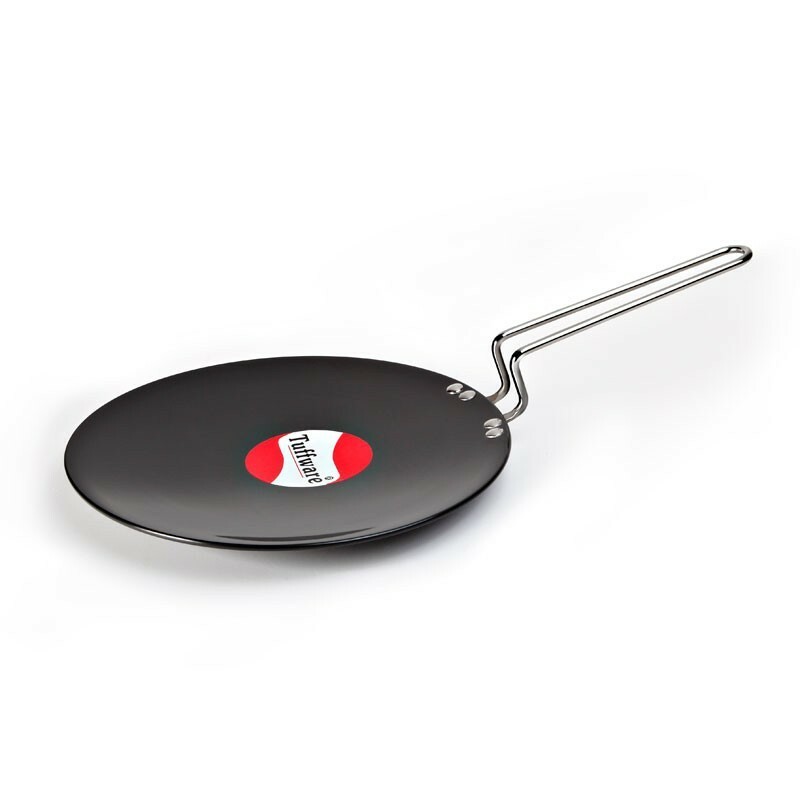 Since it is deeper, the design is safer and can conveniently be used for sautéing and deep-frying apart from using it simply as a frying pan. The wok’s unique shape ensures that the heat is distributed evenly, facilitating faster cooking. 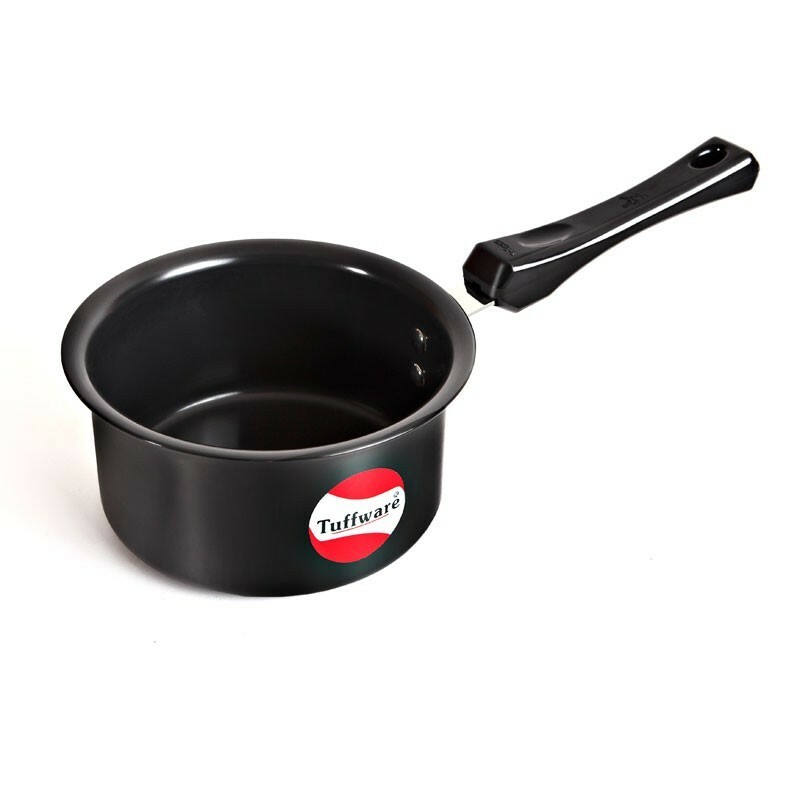 The deep sloping side of this pan helps avoid any spills. 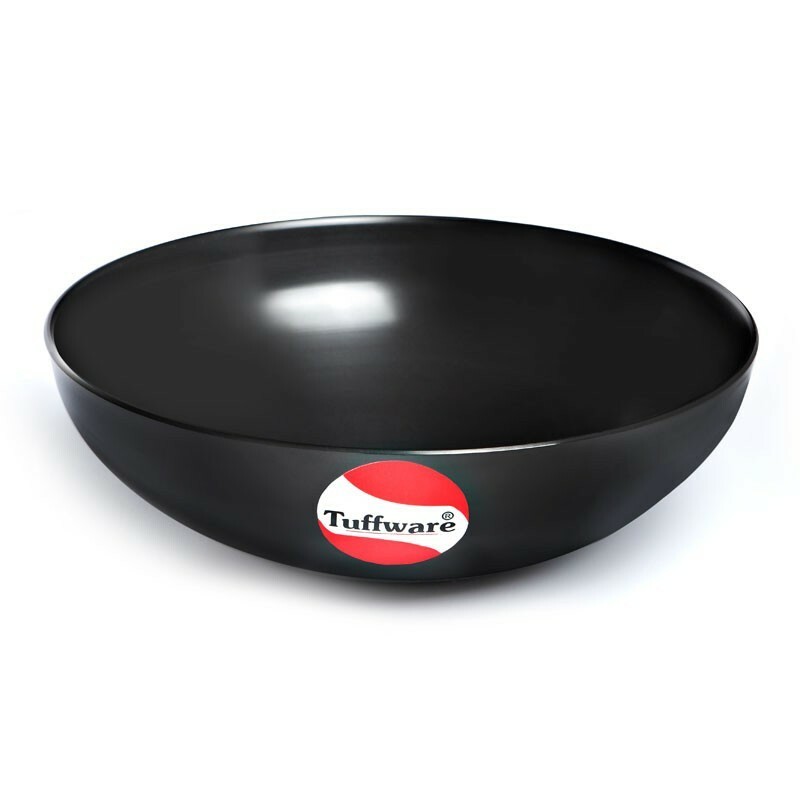 This Tuffware frying pan also features a long single handle making it convenient to hold while sautéing. All in all, the Chinese frying pan or the Wok has always been the most preferred choice for stir-frying and different Chinese cooking techniques. It is the perfect tool for the type ofcooking job that requires stir-frying, steaming, poaching, and deep frying. Besides, it can also be used for quick heating of spices and reheating or refrying already cooked food. Ideal for: Chinese dishes like noodles, Manchurian, Soups.